The release date for Star Wars: The Last Jedi is fast approaching. 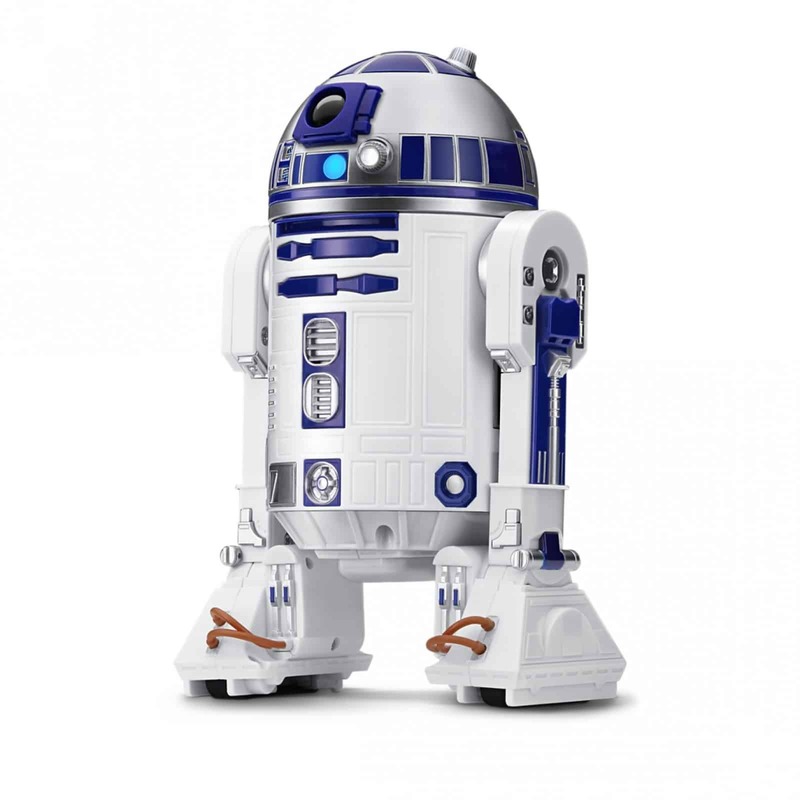 To celebrate iStore is giving one lucky reader the chance to win this super cute Sphero R2-D2 droid. To stand a chance of winning this amazing Sphero R2-D2 droid, all you need to do is tell us one of its amazing features (in the comments section below). The Giveaway is restricted to South African readers who have signed up for our newsletter only and cannot be exchanged for cash. Terms and conditions/Site Disclaimer rules apply. One entry per person. The winners will be contacted via email. The prize excludes travel, is non-transferable and cannot be redeemed for cash. Love the – integrated speaker means the beeps and boops come right from R2-D2 itself. He can be fully controlled by your smart device and patrol when not controlled. Thats a pretty cool one! He can relay a message from a Rebel Alliance leader to an old, retired Jedi Master, half way across the galaxy, thereby setting off a chain of events which leads to the downfall of the Imperial Order. Holy sh!t!!! I want this so bad! You can view films from the Star Wars saga with R2-D2 reacting by your side! “View films from the Star Wars saga with R2-D2 reacting by your side.” This makes R2 the perfect companion to enjoy the entire saga with. Fully functional front and rear LED lights. May the Force be with me in this competition. You can control your droid with your smart device or it can patrol on its own. Artoo’s signature front and rear LED lights are fully functional. Wow this is a fantastic giveaway thank you. Artoo’s signature front and rear LED lights are fully functional, and an integrated speaker means the beeps and boops come right from R2-D2 itself. the boops and beeps come right from r2-d2 himself. awesomness. Artoo’s signature front & rear LED lights are fully functional. The fact that it reacts to the movies while watching is incredible! The little guy’s front and rear LED lights are fully functional, and an integrated speaker means the beeps and boops come right from Artoo himself. He will also react to the movies while watching alognside you. an integrated speaker means the beeps and boops come right from R2-D2 itself. You can control your droid with your smart device or watch it patrol on it’s own. Awesome! It can make the ‘beeps and boops’ sounds all by itself from the integrated speakers. It has an integrated speaker means the beeps and boops come right from R2-D2 itself. You can control him with a device or watch. View films from the Star Wars saga with R2-D2 reacting by your side. Watch Artoo interact with other Star Wars App-enabled Droids by Sphero, and view films from the Star Wars saga with R2-D2 reacting by your side. The speaker allows it to speak to me, chatting away better than any pet you could buy! Also no pooping is a feature. The fact you can control it from your smart phone and or let it patrol. Or that it has integrated speakers that can allow it to communicate with you via beeping. Control your droid with your smart device or watch it patrol on its own. Artoo’s signature front and rear LED lights are fully functional, and an integrated speaker means the beeps and boops come right from R2-D2 itself. You can watch the the Star Wars movies and he’ll react to them but the best part for me is how he can go hay-wire and fall over just like when the jawas stun and kidnap him and C3-P0 in a New Hope.